For many people, spring planting is the perfect time to begin an herb garden. For most herbs, planting should wait until there is no more danger of frost if you plan to put the seeds directly in the ground. However if you want to grow herbs from seeds, you can also start your seeds indoors a few weeks before you plan to put them outdoors and then simply transplant them after the frost danger is gone. However, planting seeds is not the only way to go. You can plant seedlings instead of seeds, whether you grow the seedlings yourself indoors before transplanting them outdoors for your spring planting or you can purchase seedlings from a nursery. These will come in seed trays that can often be reused. For instance, purchase your seedlings from the nursery this year and after you plant them in your herb garden you can save the trays for planting your own seeds indoors next year. You can also get well established plants from your local nursery for herb garden spring planting. These may come in a flexible nursery bag or in a pot, usually made of plastic. You may even purchase a fully prepared and planted container garden where the herbs are planted in a large container that is designed to be your herb garden. This type of garden is self contained, and the plants may be a bit more expensive because the container is the garden. Another method of starting an herb garden is to use cuttings. You can get cuttings from your friends who have herb gardens or you can take cuttings from plants that have already been established in your garden. Remember to take a new shoot that is quite vigorous and about three inches long. It should not have any flower buds on it. Cut it from the stem but leave a small portion of woody stem on it. Plant the end directly in the garden or in a pot. Hardy herbs like Rosemary are perfect for cuttings. Remember, you can do the spring planting of your herbs using seeds, seedlings, established plants, or cuttings. You can start your herbs directly in your outdoor garden or in containers. 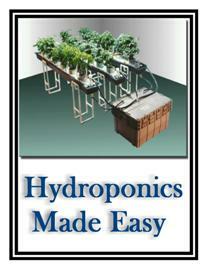 You can also get your seeds growing using hydroponics. Hydroponics is a method of gardening to grow plants indoors using artificial lights and a special chemical preparation instead of actual soil. Any way you grow your herb garden, you are bound to find not only great fresh herbs to add to your cooking but also a great deal of satisfaction from growing them yourself.